How can I stop a message in my Outlook outbox that won&apos;t send? - Ask Leo! How can I stop a message in my Outlook outbox that won&apos;t send? Once a message goes into your outbox, Outlook tries to send it. While it's trying, there's little you can do. So the trick is to force it to stop trying. How can I stop, delete or move an email that gets stuck in my outbox? The email I have here is 24.5 MB, which is apparently too big. The problem is that it’s stopping all my other emails that I want to send from going out! I use Microsoft Outlook 2003. It’s been a while, but I’ve experienced this myself. Your ISP rejects the email because it’s too big, only to have Outlook keep trying to send the mail because it doesn’t realize that the error is fatal. There are a couple of ways to deal with this issue. Surprisingly, the most low-tech solution is what I’ve found to be the most effective. Let’s say your ISP has a cap of five megabytes on email message size. You start sending your 24.5 megabyte behemoth, and five megabytes in your ISP’s mailer says “Nope, too big – FAIL”. Outlook doesn’t realize that that’s not going to get fixed and treats it like any transient error that might not happen if it tries again. So it tries again. And again. And again. With no actual hope of success. Meanwhile, once you realize that there’s a problem, you can’t do anything about it, because Outlook has the message while it’s trying to send it. You can’t delete or move an email that Outlook is in the process of sending. Get lucky – there’s a small window of time between the failure and Outlook’s next attempt to send it when it does not have the message locked. If you’re lucky you can delete it during this time. But you must be really lucky. Outlook doesn’t realize that that’s not going to get fixed, and treats it like any transient error that might not happen if it tries again. So it tries again. Pull the plug – not the power, but your network. Literally disconnect yourself from your network. Outlook will not be able to contact your ISPs server at all and won’t even begin to try sending your message. It might take Outlook a few seconds to realize that it’s off line, but once it does, you can delete or move the message. After that, reconnect to your network and get on with your life. It’s decidedly low-tech, and I can think of a few other ways to accomplish the same thing, but ultimately it’s simple and fast and achieves the desired results. Why Is a Message Stuck in My Outbox? 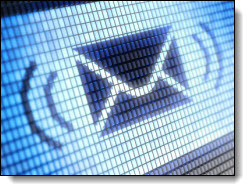 - There are several reasons why an email might get stuck in an outbox. I'll look at some of the more common ones. Why Does Mail Hang Around in My Outbox Before Being Sent? - There are many steps between your email and it's journey out of the "Outbox." Any one of those steps could be slowing you down. Can I Stop or ‘Un-send’ an Email I Sent by Mistake? - Once you hit that Send button, assume there is no way to stop your email from being sent ... even if it's to the wrong person. How Do I Get my Name, Title and Other Information to Show at the Bottom of Every Message I Send? - Signatures are a great way to make composing email easier by including standard information at the bottom. I'll show you where the settings are in three popular email interfaces. « Previous post: What’s a Good Password? Quickly access the pulldown menu File…Work Offline… to prevent/stop the transfer process. Then delete the message from your Outbox. This was so simple and so quick. Just go to 1. ‘File’ then 2. Check ‘Work Offline’ 3. Delete email from the Outbox it was stuck in and, finally 4. Un-check ‘Work Offline’ and Voila! it’s all back to normal. I’m so grateful to have found this great place. Thank you for your services. Where is the file & offline located on a cellphone? That would be different for every mail app. This worked when nothing else would. Thank you. I wrote two pieces of mail to my grandaughter that never got there. I was told there was a fatal error. I cannot get that message off my computer no matter what I do. It comes up constantly with a request that I tell them if I want the message sent or not. If I say to send it it comes up with the same comment all over again. Help! I just want this message OFF my computer. Any help you can give me I would appreciate. There is nothing in “Sent Messages” that I can delete. Did you follow the instructions in the article you just commented on? (Look in outbox, not sent mail). Leo, I am now getting the same thing after a read receipt was sent. My ISP blocks SMTP except to their servers but the message is trying to go through the server the message was sent to. There is no message waiting in the outbox, where is the system folder outlook uses? I would like to clear outbound queue. Thanks in advance. Just wanted to say thanks! How simple. Disconnected the network connection then was able to delete the hung email. There is no email either in my outbox when disconnecting from the network or following the steps from http://www.outlook-tips.net/howto/delete_rr.htm didn’t show anything in that table. I just resolved the issue: there was an Outlook1.pst in addition to an Outlook.pst. I opened the Outlook1.pst and it was fixed. I have read email off-line and one of them has requested a read receipt. When I go back online Outlook (2003) tries to send the receipt with no joy. As there is no receipt in the Outbox, there is nothing to delete. Any ideas? thanks, Keith. (other mail all sends okay). Keith, Checkout this link to remove a read receipt. I also have a message ‘jammed in my outbox’. I unfortunately tried to delete a message while it was sending. the message deleted out of the outbox BUT the system still tries to send it. I have tried the repair function on my office disk. I did a reinstall of Outlook and I have just upgraded to 2007 (hoping that it would ‘clear’. I have got a user whose email is continuosly sending a ‘Read Receipt’ for the same message even more than 20 times a day. I triesd deleting the original received message but the receipt is still being sent. Other emails from the sender with the flag on are Ok. This user has also another same issue with one of his staff though its a different message now. Tim. I had exactly the same issue as Keith, an invisible read receipt, your link/solution worked. i AM USING OUTLOOK EXPRESS. EVERY TIME I SEND AN EMAIL, IT JUST SITS IN MY OUT BOX.I GET TOLD BY MY COLLEAGUES THAT THEY GET 1-4-8 EMAILS OF THAT SENT EMAIL, BUT IT JUST SITS IN MY BOX….HOW DO I GET my outbox cleared and messages to get to my sent box? help- please…..i am pulling my hair out? That stupid email has been stuck in my mailbox for 3 months already, and it’s finally gone!!!!! WOW, I found the easiest way to get rid of a large file in your Outlook Outbox! After doing 3 other things, I just unplugged my RJ-45 cable and waited about 10 seconds and delted the file! So Easy! you are Great! When I try sending mail from OFFICE, my mail gets stuck in my outbox. then I log off outlook and the mail is sent. I am using win xp sp2 and microsoft outlook 2003. Just put Outlook in off line mode. Messages can be deleted instantly. Genius! Best solution to this problem I’ve found. Running Outlook 2003, Win XP SP2. Got a 12mb email stuck in my outbox – went through other ‘solutions’ of offline mode, safe mode and even creating a new profile PST file! Found this and it worked instantly! Even easier than pulling the network cable – go to Control Panel – Network Connections then right click on your Local Area Connection and Disable. Then go and delete that annoying stuck email, then go back to your LAN and right-click enable. Job done! I have restarted Outlook several times and still receive the popup asking if I want to leave regardless of the fact that there are messages still waiting to be sent (despite already arriving at their destination). The only thing that made this work for me was to use the ‘Del’ key on my keyboard instead of clicking the ‘X’ in Outlook. Clicking the ‘X’ (Delete) button in Outlook gave me the same error as before, but on a whim I hit the delete key on the keyboard and voila – done. I’ve tried this method for a week, without success (see my last post on July 30, 2007). Then tonight, I tried it again and it worked!!! If you’re in the same boat, keep trying. Thanks Leo! Your a genius! I unplugged my network cable and was able to delete the massive email stuck in the system. Thank you!! I will pass my new knowledge on. Thanks soooooooo much, if only that chief at microsoft and his poxy company would be so helpful! make sure you are not connected to the internet or your network. Go to the outbox, click on the message, hit delete (it should give you an error). Then hold the shift key and press delete and then hit the ENTER key. do not use the mouse. worked for me!! Microsoft Office Online was not near as helpful! Thank you for the advice!!! It worked great and I can’t thank you enough for saving me the headache of starting over with a new email account (Microsoft’s suggestion). I have forwarded your link to them so they can learn something from YOU. However, to make the matter a bit worse, the email message that Outlook keeps trying to send is not large. Actually, it does not exist…!!! Outlook keeps trying to send an email for the past 4 months that does not exist anywhere, not in the outbox, not in send items, not in some crazy Outlook folder. All other messages are beeing sent normally before and after this incedent. Even the same message has been sent normally at my second attempt. But nooooooo. Outlook keeps trying to send an inexistent email. It is almost spooky. Please help. Not that I have a problem with receiving or sending other email messages but it has gotten on my nerves. Even if I cancel all tasks, re-create this email account, reinstall MS Outlook, it still does it. Help! I had this same problem so instead of unplugging the network cable I simply went under file and then selected “work offline”. Once offline I went to my outbox and was able to delete the problem email. Hope this helps others with the same problem. It worked! I disconnected my cable internet connection and after a few seconds (minute or two?) Outlook allowed me to delete the file. I was very thankful the file showed up in my deleted folder cause I wanted to resend the message minus a number of the pictures that clogged Outlook. THANK YOU! omg…i have been trying to delete this email all morning…you ROCK! ever need any web design or seo web design..give me a ring! Kent, thanks I have been trying to delete something in Outlook for a day, all else failed except your tip. Awesome been trying to do that for weeks!! THank you so much!! I have been stuck with an email in my box for weeks. It is finally gone. THANK YOU – this worked perfectly (the offline tip) and stopped my co-worker from disliking what I did to her computer. YAY!!! SHIFT-DELETE worked for me!!! Unplugging the network and working offline didn’t help… but SHIFT-DELETE did!!! Thank you Leo! You would think Outlook Help would cover this, but I could not find it. Your low tech solution worked like a charm. I still cannot delete the an email with a 25 meg attachment I sent yesterday. Tried all the tricks above…any other ideas? Outlook 2007. Great advice!! The trick to unplug the network should have been a no-brainer. However….. I hadn’t thought of that. Thank you so much for your help!!! Go to the File Menu and click on Work offline. Now you will be able to delete the message stuck in the outbox. Once done change to Work online. It worked for me so sharing it here. Just an FYI, I just had someone try sending a HUGE attachment and it got stuck. The only thing that worked is taking Outlook offline, unplugging the network cable, disabling send/receive, AND (most importantly in this case at least) changing the SMTP server settings to something that wouldn’t resolve. Then I could open the message (couldn’t delete it still) highlight the attachment, delete it, close the message. Then I could delete the message itself. That was painful for such a “simple” thing. Going to File Menu and clicking to Work Offline was the best solutions. Thanks for whoever suggested that above, genious!!! Connecting to the VPN was impossible, and all of the tips above did not allow me to delete/open the email. So, I created a new folder off my inbox, and selected “Copy Outbox to…” to my new folder. This created a copy of the email I needed, I was able to open, copy the contents and attachment, and send via webmail. In Outlook 2007 you can Close Outlook and reopen it and then go to the Outbox quickly and delete the email! It worked for me. Thanks again. You saved me some frustration. I’ve found the following solution works for me quite well. Select the “Send/Receive” option in the Outlook toolbar. Click “Cancel All” when it brings up the e-mails attempting to be sent. This works just like canceling a print job in a queue. I kind of like it. I do move the canceled e-mail to the drafts folder as a next step so that I can modify the size. Thank YOU for posting the stes on how to delete an e-mail tht was stuck in the outbox…All I did was click file, work off line and deleted the file, it was that that simple!!! Thank you, Thank you!! P.S. The e-mail was literally sitting in my outbox for one day! THANK YOU!! I tried the “work offline” from the file menu. What I didn’t realize is the e mail in the out box which was too large to send would take a while to delete. After trying several times, I decided to wait for the hourglass to go away, and it worked just great!!!!! Thanks for the lesson in patience!!! That was so helpful! Thank you for posting this explanation!! I will visit your site again for other computer help when it is needed! 🙂 Thanks again! What an easy fix….I’ve had that message in my outobox for 3 days!! There is an email in my outbox 2KB(which was sent to me as an Outlook meeting request that I accepted) that I have been trying to delete since Friday 5/30, that just will not delete. I keep receiving error messages. This prevents me from sending other messages that I require to send. I have tried everything you suggested above, plus calling my ISP,the IT dept of the company where the invitation originated and the WEBEX company to see if they could help from their end-to no avail. Thanks, Leo. Your tip saved me a lot of grief. Enjoy the Latte. that cancel all did the trick thanks ever so much, I am glad I found this site. Will check back. Thanks Leo! I deactivated my send server by putting an x infront of the smtp (I use Outlook). It took a couple of Send/Receives before I could get access to the stuck e-mail and fix my too large attachments. I had this message stuck in my outbox for weeks and it was really starting to drive me nuts. I had to take it a step further and open the message when i was offline and move it to another folder: file-move to folder-Deleted Items. And then once they moved to the deleted items i could delete them without any hassles. I tried all of the above and still can’t get rid of the huge file. Any other suggestions? To be able to quickly stop my emails as they are being sent out, I leave my “PROGRESS” window open all the time and partly visible behind but to the side of Outlook or my Draft windows I’m working on. When I click SEND, I can see a piece of the ribbon of progress of the message being sent, both there and at the bottom right of Outlook’s window. If I decide to stop SEND, I click anywhere on the PROGRESS window and that brings the whole PROGRESS window to front. At the top right side of this window is a very (too) small encircled X. I click on that and it is TEMPORARILY stopped. By stopping it I have forced an OUTBOX folder to appear at (unfortunately) the bottom of the FOLDER list (which is on the left side of the main window) blocking out whatever folder is last in line beneath all (including INBOX, DRAFTS, SENT ITEMS, etc., etc.) other folders. I double click on this miraculously suddenly revealed OUTBOX folder. That action brings up all items being sent, you might have more than one. I double click on the ones I want to stop and they open up for editing just as if you were not finished with them to begin with. Which I usually haven’t, of course. I don’t double click on those that I don’t need to edit. I delete any of the others I don’t want sent at all and won’t edit. The rest can be left alone and they will be automatically sent and the OUTBOX will disappear thereafter. And, this stops them from being sent all the while you are working on them. When you are finished working on any or all of them, then click the SEND button and off they go. AND, you will see the OUTBOX folder disappears, no doubt going back into its other suspension dimension with millions of other lost microsoft outboxes kept there by the demon who designed this idiotic feature for that Seattle fat cat. I tried the disconnect from internet access to get rid of huge attachment that won’t send to no avail. Any other suggestions. My attachment is really huge. No more huge attachment jamming my out going emails. I didn’t know to go to my “outbox” to delete it. A comment on page two made that clear to me. Thanks much for this site. Great tip. Another easy way is to click File > Work offline. Then, you can delete the message. THANK YOU!!!! The information about deleting a huge file that could not be sent worked. Option 2, to disconnect from the server, did the job and I deleted it completely from everything!!! YAY…it’s literally been 2 weeks that the message has been in my outbox trying to send. Thanks, the low tech remedy worked well. I just had to add one more step. I disconnected the LAN connection, tried to delete file which it would not, closed Outlook, restarted Outlook and then was able to delete the file. Reconnected LAN and now my wife is happy. I had this problem some time ago and your solution worked fine. Not long ago I had a similar problem with a photo that turned out too large to send. I was able to simply click on the button in norton to blockall internet access. Waited a few minutes then after deleting the message file, clicked to allow internet access again and everything was back to normal. Thanks for the page when I needed it the first time. THANK YOU! What a quick and easy fix to what would have likely taken me hours to figure out if not for this wonderful site. Going through this hassel is great if you get a file stuck but that is fixing the sympton not the problem. How can I change the settings so Outlook will allow larger files to be sent? I can send the same files on the same computer using Yahoo email without a problem. Thanks! It’s not Outlook that’s preventing it – it doesn’t care. It’s typically the ISP or mail service that you’re attempting to use that disallows emails over a certain size. Mine will not go away either. Since it was in the process of sending it is now stuck in limbo. I used the Work Offline option. I also tried using mbdvu32.exe to delete the message, again it was locked. Thank you all for you valuable help. I was stuck in the middle when i tried to send a zip folder which was 24MB. I forgot that its too large to send thru outlook. Then ur help really helped. I disconnected LAN, shutdown outlook, open outlook, delete the file and then my problem was resolved. Fantastic – I’d been trying to delete my 12MB email all night, and your solution took about 10 seconds. Just wanted to thank you for the most elegant and simple method of deleting a too-long message from Outlook 2003. It works! Your simple, low-tech solution, (pull the plug) worked great. Thanks. I use Outlook 2003 also and if you look at the bottom right where it says “sending message” or something similar, it allows you to right click your mouse and cancel sending the email. Then quickly delete it!!! It works! Don’t unplug anything it is a waste of time. THANX MATE THAT WAS SOOOOOO KOOL…IT WAS GONE IN SECONDS AND I WAS UP AND RUNNING AGAIN AS I WAS NOT ABLE TO SEND ANY MESSAGES AS THE FILE I WAS SENDING WAS SOOOOOOOO BIG…. Hi Guys! I know of two ways. This has happened to me a few times. First and easiest and about the same as pulling the plug is to click file and choose “Work offline” Second and a last resort if nothing else works is to click file and choose export to a file. Choose .PST then Personal folders (include sud folders) then export your mail box to a PST file. When exporting Outlook will not take the contents of the Outbox to a PST. Delete then recreate your mail account and import your PST file back in. This is a pain to do but it works if nothing else will! Why not just click on “file” check “work offline” and then go to outbox and delete in offline mode? I did the disconnect option, worked like a charm. Great, thanks a million, I’ve been trying for days to delete a 72mb picture file that wouldnt send, then i done as you said and whithin about 30 seconds it was gone, cheers! Outlook 2003 keeps trying to send “phantom” messages. It says sending message 1 of 7 when I have nothing in the outbox. Each day it keeps adding another message and it is dragging down my computer. If I cancel sending or disconnect network connection it is still there. outlook Professional – Neither of your answers worked for me. The message wouldn’t delete (it had a 30 MB attachment). AND it immediately engaged the sending function, so it couldn’t be deleted. So I went into message properties for that message and gave it an expiry time that had already passed. Then the message showed as an expired message. I was then immediately able to delete it. I tried clicking Work Offline; didn’t help. I tried closing the network connection; didn’t help. Then, with the network disconnected and the Work Offline box checked, I turned Outlook off, waited a couple of minutes, and turned it back on. That did it–instant delete. BTW, the email had an 80mb attachment (yikes!). THANK YOU! THANK YOU! THANKS YOU! NOW I CAN ACTUALLY WORK! You’re the best. Simple, easy advice. 4) click delete…. hey presto, I could delete it!! My outgoing emails are getting stuck in the Outbox and won’t send. How can I get my emails to send? Great! I pulled the plug like you said and went offline and wait few minutes and guess what! it work like wonder. thank you. Thank-you!!! I googled a few other places with NO luck and one of your low tech styles worked! Pulled the internet plug, deleted the thing and was done. What a relief! I wrote an email with a “do not deliver before” time, but it is still in my outbox. I do not want to delete it; I just want to know what to do in the future to make sure it sends at the selected time. I have no trouble doing this from other accounts on the same server. Suggestions? Thanks. THANK YOU SO MUCH! Now I am going to go take some Excedrin! Is there a fix to keep outbox from looping and sending the same email over and over again. I see several ways to delete it but, what is causing it and is there a fix. This has happend to me in outlook express and I went to outlook 2007 thinking this would cure it, but to no avail. I sure hope there is a fix. Tried your suggestion…unfortunatetly, I’m either doing it wrong or it’s just not working…any other suggestions? What if I remove the E-mail account from Outlook, reboot and add the E-mail account again? Any danger in doing that? Thanks. I didn’t do it correctly at first. Taking it offline, then deleting worked. I am having the same problem as Tommy Ingram and I don’t see any response to his concern. Can someone advise on this? This worked like a charm. Talk about SIMPLE. My outlook kept locking up (trying to send a 65 meg file), but all I did was unplug my network and voila. It stopped trying to send and I was able to delete the “pending” file. Many thanks! I just closed outlook then I opened again and instantly I went to outbox and deleted that huge stucked message…and it worked!!! The 72meg file hung outlook. I came to the conclusion that unpluging the network would get the file to stop sending so it could be deleted. Reading this solution gave me the confidence to unplug the cable. Even after closing outlook I need to stop the process in the task manager. When outlook was restarted the problem email could be deleted from the outbox. Plugeed the network cable in and the rest of the pending emails were sent. Thanks. I was hung up for the better part of a day. Solved the problem in less than a minute. i found that choosing File, Work Offline, Exiting Outlook, and then re-opening it, allowed me to open and delete my mistake message… hope this helps someone! Worked immediately. Thanks for the lo-tech fix that MS does not even tell anyone about. Thanks. Worked perfectly. Read the instruction. Reached down and pulled the wire directly out. Closed outlook. Let the PC figure out that it was immediately off line. Reopened outlook while the PC is still off line. Opened the outbox and deleted that little troublesome e-mail. Plugged the network wire back in. All is well. I had been jacking with this for the last 5 days. best idea yet. stay online. pulled out internet cord/usb wireless dongle. reopened. deleted. et voila. merci leo! Thanks, by unplugging my netowrk cable I was able to delete a file that Outlook kept locking on. Genius! All other fixes are just fudges compared to this! So simple, works a charm – you are a good man! I read the instruction and it seemed silly but I tried it and it fixed my problem first time, Thank you you are a wonderful and great find I plan to keep your details in my favourites. i have this problem only i deleted it form my outbox folder and its been 7 days its still trying to send the messages..i deleted the msgs as soon as they failed but its still doing this i called my isp..they cant help dell said its not a hardware isssue so they wont help they directed me to microsoft and i was told for a fee it can be fixed..wtf? any no cost low hassle way to fix this? Brilliant, all it took was 10 seconds. Jennifer, you’re brilliant. I was having a terrible time with a stupid message stuck in the Outbox and your fix worked perfectly. Thanks so much. Although I read through everything on the page, it was easier for me to figure out your solution than some of the others. THANKYOU SOOOO MUCH Leo! What a wonderful solution to such a stupid problem…. it worked with just 10 seconds to pull out the cord to my internet, straight back to Outlook, delete… and wholla!!! the problem solved…. thanks again, now I can get on with emailing!! Thanks for the tip– fixed my problem. THough I found an even easier way… at the bottom right of outlook, right click and select “Work offline.” that’s like disconnecting the network cable. Delete the email from the outbox and then un-select “work offline” and you’re back in business. I closed my Outlook program. Then I reopened it & quickly deleted outbox email before it could start sending. Without this information, I never would have thought to do that. Thanks so much for this simple and effective solution!! Thank you so much, you really saved the day!!!!!!! I was lucky to utilize that small window of time you wrote about. Thank you! when I try to delete it I get a message saying outlook is sending the message, but this is not so. I’m hooked up to a business network and didn’t want to unplug for fear of ruining company equipment, but I did find another way to accomplish this. There’s a send/receive icon on the bottom right of your outlook screen(at least there is for oulook 2007). Right click and choose cancel. Then you can delete items stalling your outbox. Thank you. I first had to tell outlook to stop sending and recieving, but then it was easy to delete the message. I’ve been trying anything and everything for a week ’till finding your instructions. Thanks a lot for the great help. But one small suggestion, instead or removing the cable, if we just disable the LAN under Network Connections would work…………..
Well done Leo. You saved my marriage. Such a simple trick that works. We could do with a few more like you. Thanks for the clue it’s been bugging me for weeks, but I had you restart my Outlook with the network disconnected before mine would delete. You saved the day!! I have had my outlook locked up since June because of the two emails….thank you for setting me free!! The “lo-tech” way worked. Thanks much! From another forum, worked fine for me. That was a brilliant “work-around” compared to the messy suggestions of Outlook engineers. Great low-tech solution. Ran into this same issue and was glad to get a 5 second fix! Worked great! I went to file-work offline and deleted the message in my outbox – didn’t even have to restart Outlook! This was tremendously helpful and so easy. I just clicked on my “file” button in outlook and then clicked “work offline”…then clicked delete– it deleted immediately. Amazing 🙂 Thanks so much! Thanks, i tried, I got it. Pull the Plug. Thank you. I used your suggestion and it really works for Outlook 2007. You saved my client today. Thanks. Incredible, that it works only this way. Outlook sometimes is really stupid. I couldn’t get to my network plugin without nearly dismantling my desk, so I clicked file–>work offline–>closed outlook–>reopened (still had work offline checked), and I was able to delete the evil email. Then I just unchecked the work offline button, and all is right with the world. It’s working for me. I am really thankful for your idea and it save my time. Oh thank you so much, what a result!! Thank goodness that long email has disappeared now. What great help!!! Couldn’t find the workoffline option and couldn’t delete the e-mail even disconnected from the internet but found a little drop down menu at the bottom left giving me the option of cancelling the e-mail, which I did. I tried to delete the email like you suggested, but I can’t click on it in the outbox and the delete is not highlighted for me to use. It doesn’t matter if I am offline or online. When I try to click on it, it says not responding. I GOT LUCKY. I cancelled my send and receive tab and deleted it!!! THANK YOU SO MUCH! i went offline, and it deleted right away!!! you are a lifesaver thank you!!!!!!!!!!!! Your solution was perfect, this problem bugged me for weeks. Thank god i found this site!!!! Fixed it immediately! Going offline worked like a charm, thanks so much! I was able to delete email the minute I went offline. Thank you so much, only wished I knew about your site a long time ago. Yes, it helped because I went back to Outlook and saw in the lower right hand corner of the screen that the email was trying to be sent. I also saw a dropdown arrow which I never noticed before. When I selected the dropdown screen I was given the opportunity to delete the email. I then didn’t need to disconnect. Disconnecting from my server didn’t work. Turning computer on/off, didn’t either. Went to //OUTBOX (at the lefthand side of the Inbox screen)& deleted the stubborn bloated message from there. Thankfully I am one of your newsletter addicts and had a problem when one of my emails with an attachment got stuck in my outbox of office 2007. I looked through the archives and found a solution which worked. I didn’t have to go off line. Turned off the connection, wend back in outbox and deleted it! Wham bam thank you mam! Thank you! Saved me from so much heartache and took just seconds to complete. Found another way… if you click on the little arrow next to the Sending Message 1 of 1… a box will pop up that says cancel send/receive, hit it, it works!!!!!! After the error flags go to the Outbox. Delete the message from the outbox. Then go back to the error dialog box and select cancel. that thing from my out box for a month. If this guy helps you, buy him some coffee. You tip that blonde don’t you? Thanks Leo… a 60mb Video file my daughter “tried to send” has been stuck for awhile. Have had the problem for a while. My email was 12.5mb. Go to File and select Work Offline. This will allow you to delete the email or attachments to make the email smaller. Go back and select Work Offline again – to get you back online. You can now carry on as normal. The file that Outlook tried to send was 28 MB. It got stuck there for days. Because of this, all my later “Send” emails of even less than 5 KB could not be sent because apparently it was in a queu. Trying to delete that large email was unsuccessful -> nothing happened. When I foolowed the suggested low-tech method (close Outlook -> unplug internet cable -> open Outlook, that stucked file was deleted easily. Thank you, thank you for the advise. That advice did not work for me, but what did work was editing the delivery parameters by right-clicking on the message stuck in the Outbox and selecting a delivery deadline that had already expired. The message immediately disappeared-had been stuck for 2 days in the Outbox! The best way is go to “File”, “Work Offline” then delete the files. Go back and “File”, “Work Online” – you don’t have to get off your seat! This has happened to me a couple of times now, eaisest way is to click on work offline. then you can delete it, no problem! 1. Just close outlook, 2. reopen and immediately open the outbox, 3. drag and drop the message to the drafts folder. 4. Then open the message and send, it will usually go out. 5. If not, repeat. You can also go from step 2 to opening the message and copying the contents before deleting, then you can paste it in a new message. Go to file/work offline. Then close outlook. Restart and you can delete message. Now go to file/work offline and untick. Presto! 🙂 Thank you for your posting but I found this easy fix. Thank you for the advice, going offline and deleting the message then logging back on worked perfect! Took me 3 days to find this link,but was worth it!! Ahhh! Thank you! I just switched over to Work Offline, deleted, and jumped back on. Thank you so much!! Thanks for the advice to disconnect from the network – this is the only thing that helped. Tried ‘File/Work Offline’ – was then able to delete message stuck in Outbox. Didn’t even have to close and restart Outlook . Many thanks. I hope I remember for next time!! Thanks. I tried all day & finally googled my question and this site was there. Great! Great this has been driving me up the wall for five days and I have just sorted the problem in ten seconds. I never thought this would be something that easy to fix. Thank you so much for sharing this tip. It solved my stuck outbox email in seconds!!! So simple when you know. Many thanks. I’m grateful Leo, for the simple advice. It’s saved me an ongoing headache that’s lasted for weeks now. Thank you! Fixed my problem in 5 seconds. Thank you very much for your simple and direct intsructions. I have spent hours today trying to delete a message that was too big for Outlook to send. Because I could not delete the big message, that failure prevented me from sending any other messages. So I “pulled the plug” and am back on track! Pull the Plug worked…was so quick and easy. Thank you! Worked like a charm. Thanks for the tip. Pulling the plug fixed it. I’ve been backed up for over a week. Thanks a ton! Really helpful, thanks for taking the time to keep it simple! The easiest way, at least for 2007 and higher (I suspect will work for older versions as well) is to go File/Work Offline. This turns Outlook offline – you can then delete the message from the outbox. Haha couldnt post this because I forget to reconnect wireless. Great job!!! Disconnecting from the network worked perfect. Thanks!! Many thaks for the tip my wife tried to send a 175M file?? Thanks, worked eventually. I closed internet connection, but couldn’t delete any mail in the Outbox, then I closed Outlook and restarted, didn’t work at all. Then I used Task Manager to close Outlook process, restarted Outlook, all the while off internet, and was able to delete the largest email in the Outbox. Thanks for the good advice. Lotsa thanx from SA. The Network cable idea worked perfectly! You saved my job. God Bless You! Thank you so much! I thought this issue would never get resolved! I was able to delete the stuck outgoing e-mail. Microsoft recommended various complex and time-consuming solutions, but you nailed it. Even Easier Solution: Click “Cancel Send/Receive”. Then Right-Click the troublesome email and select Delete. Problem solved. Thanks Roy Mannen!! File – work offline let me delete yahhh!! Star! So simple…thank thank you. Thanks for the fix on stuck emails in Outlook , I had thought of that but wasn’t game to try it. Leo, you are a genius! I just turned off my modem and voila! I deleted that email. Thank you! I had this problem the past 2 years and the old disconnect/work off line type of approach worked! Now it is just stuck on ‘message has begun transmission’. You cannot deleted it in any capacity, you cannot amend properties to send at a future date, I have ran MDBVU32.EXE and SCANFIX and neither has fixed/deleted the file even though found. I have made a new PST file and set mail/back up to default to it, then restarted and gone back into the outbox and that still failed. All help facilities/tricks have been tried AND NOTHING works. Gulp! Long way about it! Just go to send/receive tab and click “work offline” then go in and delete, no reason to leave your computer or to touch the network. You gave me the idea though so thanks. I have been having this problem at work for months and months and it has been really winding me up as all the emails i send take so long to send. I didn’t know how to disconnect from the network so i just clicked ‘work offline’ and i managed to delete the said email and voila! perfection.. Thank you so much!! ‘Work offline’ worked a treat! Thanks Leo, you saved the day. 1) Disconnect your internet connection. 2) Go to the ‘outbox’ tab in Outlook. 3) Delete the intended email. Work Offline did it! Thanks. Here’s another possibility: the message is corrupted. Had this problem today! I had a email that was stuck in my outbox for an hour. I started a new blank message, copied the contents from the “stuck” message to the new one, then hit send. It sent right away. Very helpful… But I am a new Mac user and there was no folder for “outbox” like in the PC version of Outlook. MS modified the 2011 Mac version and put the “outbox” on a status bar at the bottom, below all the other mailboxes. I went offline, clicked the outbox bar, deleted the email and went back online. Quick and easy! Thank you so much. Now I can send e-mails again!! I have the same problem as Steve K from 12/17/2008. I did not see a response to it. Every time I open my Outlook 2010 it tells me it is sending message 1-7 (and proceeds through 7-7). I am not sending anything that I know of, nothing is in my ‘outbox’, and nothing ends up in my ‘sent box’ when it is done. As far as I know, everything that I have knowingly sent out has been received. What is it sending and how do I make it stop? Thanks! Thank you so much!! I had emails stuck all day. Thanks for the great and quick fix. Just now i have created the gmail login in Outlook express mail, but i had received the past mails. I would like to stop the past mails. So, anyone can help me to guide for the above sms please. brilliant advice, all sorted in a few minutes. Thank you. Just saved my life! Thank you so much!